Charlize Theron and Teri Hatcher fighting for a gun in the crime drama 2 Days in the Valley (1996). From Director Ridley Scott comes the fifth installment in the Alien series – a prequel. It stars Swedish actress Noomi Rapace, Michael Fassbender, Guy Pearce, and Charlize Theron. The story follows the crew of the spaceship Prometheus, who is following a star map found by archaeologists as they were researching many different ancient cultures. They believe that the inhabitants of the planet they have landed on could help them discover where and how the human race began, but they find something horrifying instead. Instead of finding out how humanity started, they may very well have brought about the end of humanity. I must admit, I went into this movie knowing I wouldn’t like it. A prequel to Alien (1979)? With Charlize Theron? How could it possibly be any good? I was wrong. Ridley Scott never disappoints (well, with the exception of 1997’s G.I. Jane, a pile of excrement I prefer to pretend never existed), and Prometheus took my breath away. The special effects were amazing, the acting was first-notch, and the ending…well, I’ll just say Wow! and leave it at that. 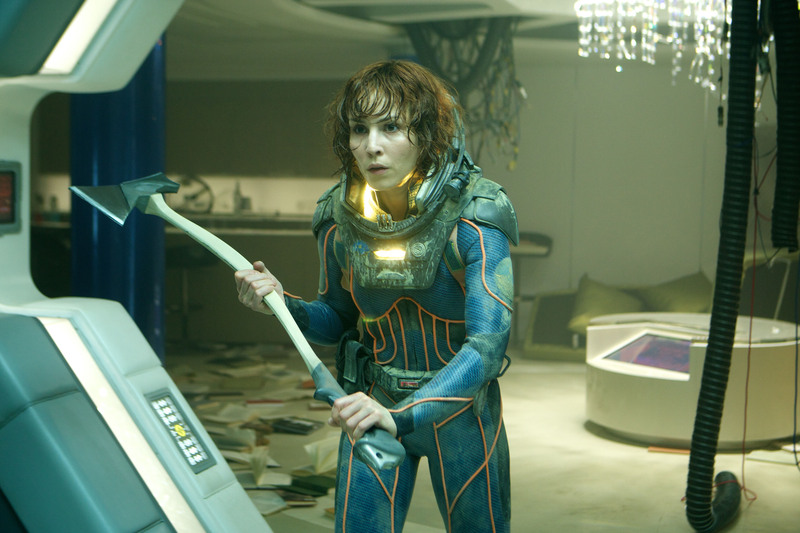 Noomi Rapace plays Elizabeth Shaw, and she was outstanding. I had never seen her in anything (as I never saw the Swedish version of The Girl with the Dragon Tattoo (2009)), but I look forward to seeing her in more movies. She is a great actress and I totally identified with the character. She was very Ellen Ripley-ish. 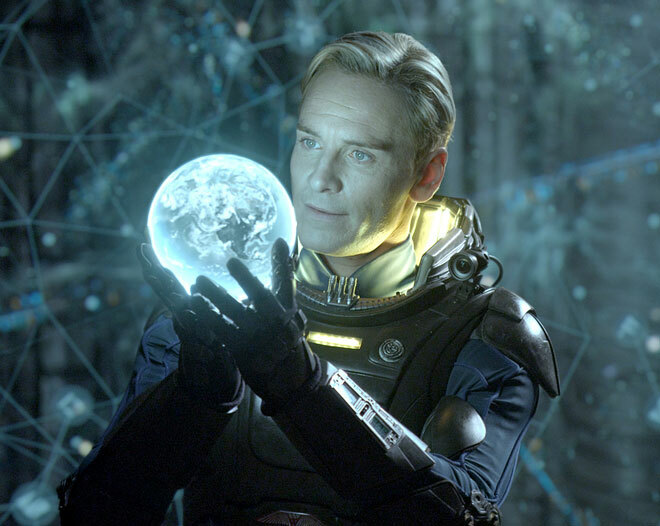 Michael Fassbender was the android David, and he was fabulous. I was very much reminded of Rachel in Blade Runner (1982) – he was almost wistful and obviously wished to be human. Charlize Theron was Meredith Vickers, and she made my blood run cold. She was icy, calculating, and oddly like the android David; they looked enough alike to be brother and sister. It was odd and effective. Guy Pearce played Peter Weyland, Meredith’s father. I must admit, he rocked the old-man makeup; it was so good that he was in several scenes before I realized who it was. As always, he was wonderful in his role. I give the movie an 8 out of 10. Buy it on DVD and watch it over and over again, as I plan to do. 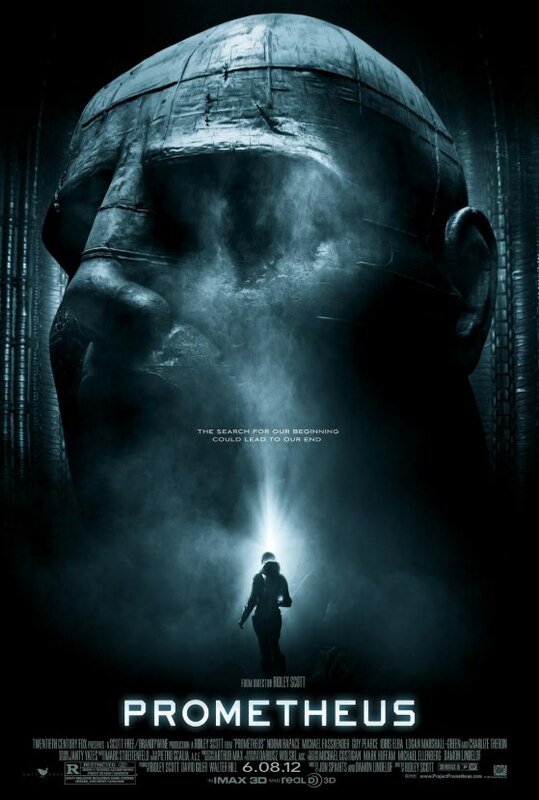 So far, I’ve seen it in the theater, watched it twice on cable.tv On Demand, and I am currently gloating over my newly-purchased Prometheus DVD. 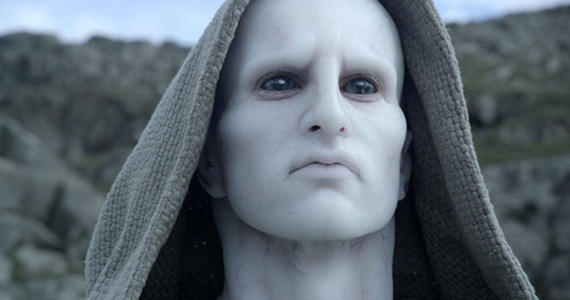 Prometheus is one of the movies that Brock would like to see.